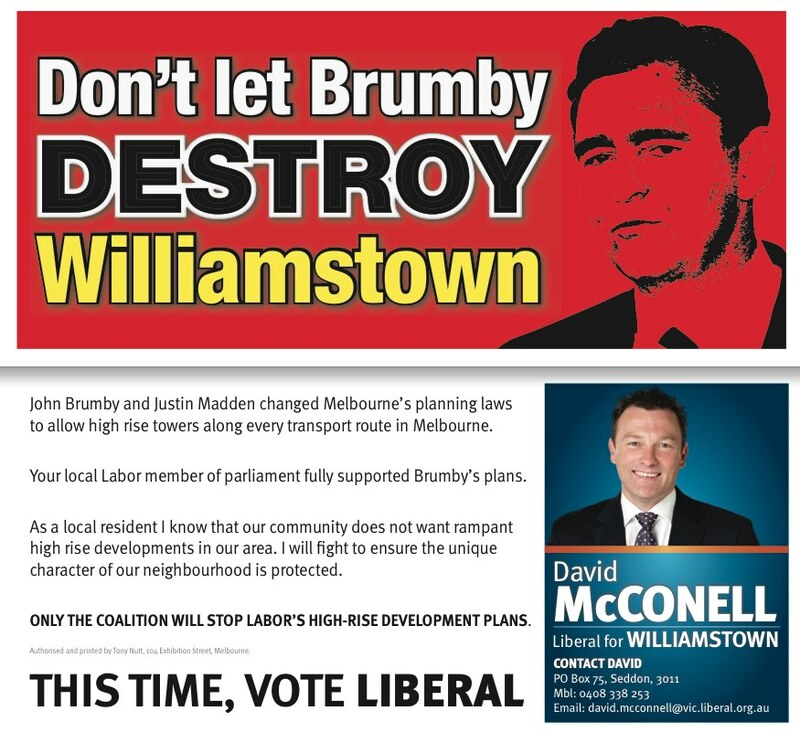 Save Williamstown - helping to keep our heritage and protect our suburb from inappropriate development and also retain local (nationally significant) jobs. Save Williamstown is a community group representing residents and friends of Williamstown in a fight to preserve the intact heritage of our town into its third century, together with the local shipbuilding and maritime industries which have been the lifeblood of Williamstown since the settlement of Melbourne in 1835. Save Williamstown wants to STOP the developer Nelson Place Village Pty Ltd (now known as NP Development P/L) from getting planning approval for a HIGH RISE over 25 metre development (anything more than 7 storeys) on the area bounded by Nelson Place, Ann St, Cecil St, Aitken St & Kanowna St and make sure any development of the Former Port Phillip Woollen Mill Site is appropriate and sustainable in terms of heritage, jobs, buffer distance safety from the Mobil Pt Gellibrand MHF, fuel importation at Pt Gellibrand Pier, the Williamstown Shipyards, the Point Gellibrand Coastal Park, infrastructure and neighbourhood character. 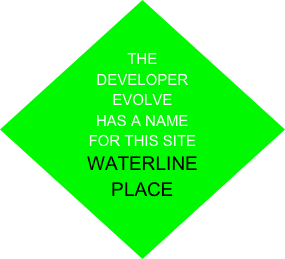 The developer initial plans are no longer available on a website (Save Williamstown does have file copies). Stages 1A and 2 have received approvals when the developer Evolve appealed to VCAT after initial Hobsons Bay Council Special Planning Committee decisions. The site has had three Planning Scheme Amendments applied, C75 firstly residential, C86 secondly mixed use with indicative height limits and C105 most recently amended by the current Minister for Planning where the height limits recommended by the Port Phillip Woollen Mill Advisory Committee are mandatory. AV Jennings currently has a caveat on the purchase of the site from N P Development (Evolve). 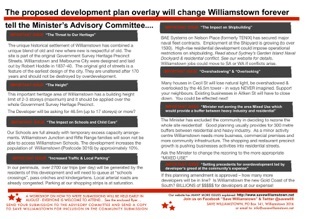 Save Williamstown is not against development. Williamstown is a working town as well as a residential suburb and it has always embraced changes since it was first settled almost two centuries ago in 1835. Essentially it is a balanced town with development fitting into the unique character of the town and not aiming to dominate. Features such as the original road pattern and widths laid out by the Government Surveyor, Robert Hoddle, in the late 1830s are still present and should be protected for ever. Modern development should respect height and precinct character. The Former Port Phillip Woollen Mill Site which is the focus of our campaign is in the GOVERNMENT SURVEY HERITAGE PRECINCT and the community is concerned that any development on this site neither destroys the values of the precinct nor interferes with the shipbuilding industry and Port of Melbourne facilities leased by Mobil. Save Williamstown is a broad based community group, we do not aim to be prescriptive but we aim to constrain development to appropriate sustainable development and encourage the sort of development which is complementary to our community and does not strain our communal infrastructure. Save Williamstown aims to represent the whole community and has conducted a community wide residential opinion survey to assess what the whole community of Williamstown thinks of the developer’s 2009 proposal for a 46.5metre residential tower. SURVEY RESULTS.pdf Overwhelming the community rejects the developer’s scheme and supports the issues raised by Save Williamstown. WIth the second applicable Planning Scheme Amendment C86 authorised by the Liberal Minister Matthew Guy we note that the site has now been rezoned “MIXED USE” but are disappointed that the Minister went against his Port Phillip Woollen Mill Advisory Committee advice and did not mandate the maximum heights within the site. He also did not prescribe developer contributions nor provide for the State Architect to review any plans. We do not believe C86 respects the community and the heritage, local industry, jobs and infrastructure constraints. With the change of Government in 2014 the new Planning Minister Richard Wynn has delivered a new Planning Scheme Amendment which includes the advice of the Port Phillip Woollen Mill Advisory Committee on mandatory heights, Emergency Management for the whole site and a Coastal Hazard Vulnerability Assessment for every application after 25th May 2015. Further if the plans already approved are not completed as specified in their applications and approvals then the new Planning Scheme Amendment will be the planning instrument applied by the responsible authority. Hobsons Bay City Council's planning scheme amendment C33 set out guidance for industrial land management in 2008. The panel report was specific in saying that the Port of Melbourne objected to residential development and the needs of the port must be taken into account. Planning Scheme Amendment C11 set out height limits for Williamstown in 2003. The planning scheme amendment C86 December 2011 affecting only the Former Port Phillip Woollen Mill Site allows indicative heights in contrast to the mandated heights of the whole of the rest of Williamstown. What will happen next on The Strand when the strict height controls have been abandoned in C86? Pressure from developers to build high rise at any vantage points in Williamstown may lead to the ruination of our town as we know it. It is with great relief that the change of government in 2014 allowed a new and more acceptable Planning Scheme Amendment C105 to be approved by the Minister. 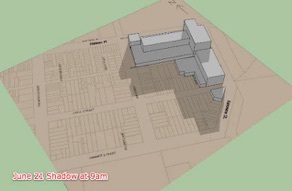 Council's heritage overlays set out suitable height limits of the named heritage precincts. The heritage is set out in planning scheme amendments C34 and updated in 2011 with amendment C68. 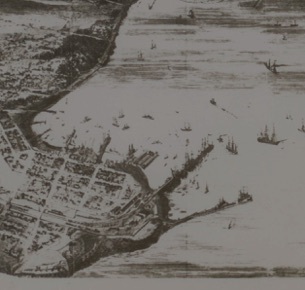 The Municipal Strategic Statement values the heritage of Williamstown. We fought the previous State Government Planning Minister, Justin Madden’s unilateral decision to rezone the Former Port Phillip Woollen Mill Site to Residential when Mixed Use which included some residential and some commercial use would have been more appropriate and sustainable was clearly a bad decision. 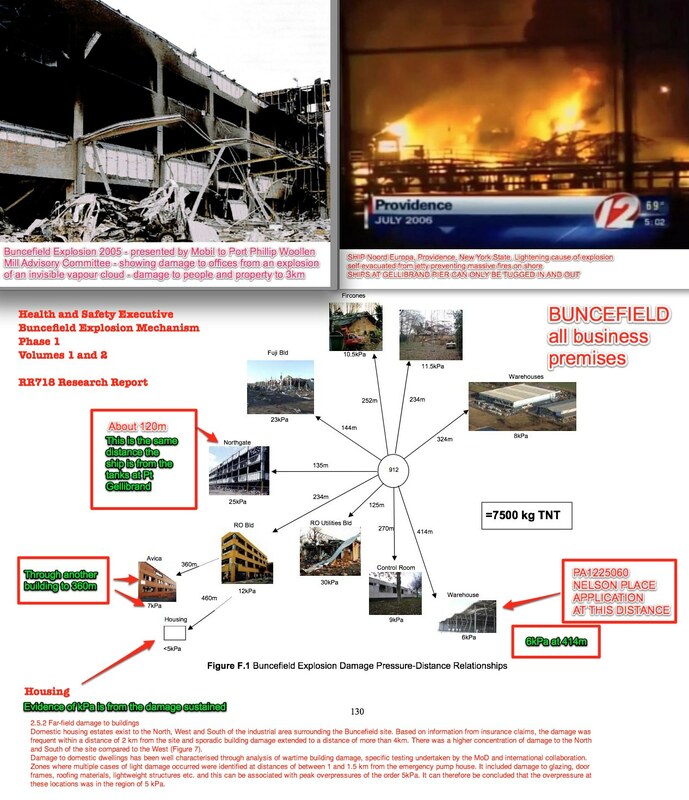 In December 2011 the site has been rezoned Mixed Use which is a much more appropriate zoning but there is no part of the site marked as unsuitable for residential despite the Advisory Committee suggesting the minister note the new safety information after the Buncefield explosion in 2005. After the Port Phillip Woollen Mill Advisory Committee held 3 weeks of consultation, the previous minister Matthew Guy has now ignored the recommended maximum heights, but has changed the zone to Mixed Use which is a sort of win diminished by the removal of mandated maximum height restrictions. The lack of democracy has angered the community. The election of 2014 and win by the ALP has allowed for changes which the community approves. 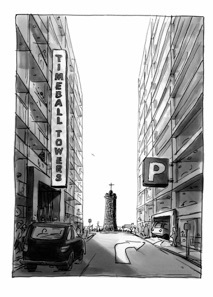 Originally the owner of Former Port Phillip Woollen Mill Site, Nelson Place Village P/L completed an application to Hobsons Bay City Council in August 2009 for a planning scheme amendment to allow a 46.5 metre high apartment towers . The council did not cause any delays in processing the application. The only delays were those of the developer in not provided required documentation. Yet the former minister called the application in on the request of the developer on the basis that the council was not dealing with the matter expediently. The former Minister unsuitably rezoned the Former Port Phillip Woollen Mill Site Residential 1 and appointed an Advisory Committee with specified Terms of Reference. The published Terms of Reference included additional parcels of adjacent land which were still zoned Industrial 1. With the change of government, the Advisory Committee continued and held Public Hearings in February 2011. On the committee’s advice the previous LNP Planning Minister, Matthew Guy, determined to approve the Port Phillip Woollen Mill Advisory Committee Report except he has passed the decision on the application as responsible authority to Hobsons Bay Council instead of deciding the application himself. Minister Guy also approved C86 Planning Scheme Amendment setting out the “Design and Development Controls” which Hobsons Bay Council must use in reviewing any developer application. As a normal town planning process, if the developer is unhappy with Council’s decision then the application could be referred to VCAT. (NB November 2014: every Application to date has been appealed by the developer to VCAT and NOT finally determined by Hobsons Bay Council). And so the community must continue to evaluate any plans and play a part in ensuring that a sustainable and appropriate development follows. Background to what happened in the advisory committee. •heritage controls, height & density controls remaining the same as the neighbouring streets in the heritage area. •open space needs of the development. The closing date for written submissions was 27th August 2010. Thank you to those in the community who sent copies of individual submissions to Save Williamstown. We pledged to bind together the submissions from the community as part of our submission to make sure that all voices of our community members were heard by the Advisory Committee. Once the Design and Development controls were established by then Minister Guy in December 2011, the developer was expected to be submitting plans through normal planning processes to the Hobsons Bay City Council. Under current legislation, developers can seek fast tracking of plans through VCAT based on the high value of the project. However hopefully the specific requirement that the council decides on the plans at this site, should hopefully mean proper planning process through council first. 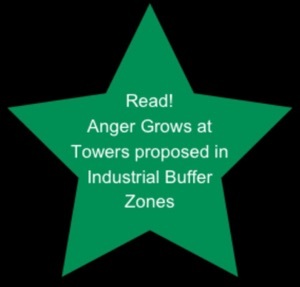 So once again the community needs to be vigilant and hope that "normal" planning process prevails. As noted above, the developer has taken all applications except the townhouses on the Ann St side and Nelson Place side of the heritage Oriental to VCAT. In the first Stage 1A applications, VCAT joined the applications together and the matter was heard by 2 members and VCAT directed Council to issue permits on all applications with only minimal conditions change from what the developers application was seeking. With Stage 2, all applications were approved again with minimal conditions changes by the same two members of VCAT with a third technical member. The VCAT decision FORCES Hobsons Bay Council to issue permits and is a long way from then Minister Guy saying that Council will decide these matters. 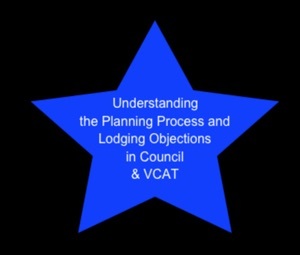 It is highly questionable if there is any local democracy in planning decisions made by VCAT. Unfortunately VCAT holds no responsibility for such decisions which ignor council prior decisions, EPA and Worksafe advice. Anyone wishing to follow up on this should read up the case of the City of Casey Landfill issues where a VCAT decision exposed City of Casey and the EPA to a $23m damages complaint by the residents some years after VCAT imposed the planning decision on Casey Council. In the case of Hobsons Bay Council Stage 2 alone could expose the council (or the ratepayers) to about $85 million at current prices (or one years rates for the whole municipality) if there were any incident at the Mobil MHF. A fact which Save Williamstown raised in July 2014 at the Stage 2 VCAT hearing. A major issue which has arisen in the VCAT consideration of both Stage 1A and Stage 2 is that there is no Masterplan of the site and thus consideration of the impact on the community and local services is not considered because each small element stands on its own and thus is seen not to have an impact on the community. Also the DDO includes protections for Industry and Heritage but neither have been treated seriously by VCAT. Two heritage buildings of note The Oriental and The Nugget were approved for demolition by VCAT despite The Oriental being the oldest 3 storey Pre Separation (pre Gold rush too) building in Victoria and the Nugget being an early Industrial building of significance. To prevent early demolition Save Williamstown has had to nominate both of these buildings for the State Heritage Register. The Oriental was turned down for listing 31 October 1 day before the Government went into Caretaker Mode for the November 2014 election. We also appealed to make sure that the heritage records for Aboriginal and Early European Heritage are completed BEFORE the demolition takes place. However the Director of Heritage Victoria refused our special request. Later Stages of development were documented by the developer to include a number of dwellings which indicated a 50m or 60m tower in what is described in the DDO as indicative height 25m. Stage 2 saw approval of a 40% excess on the indicative height in an area immediately adjacent to where Worksafe said residential development was unsuitable. 2011 - The demolition of the Former Port Phillip Woollen Mill Site buildings was rejected by council, and the developer appealed to VCAT for review. 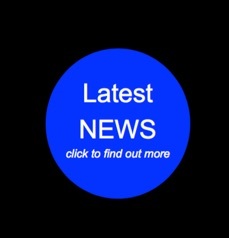 A Directions Hearing was held in June and the full hearing was held in December 12 with the decision by Mr Geofrey Code handed down in January. The Former Port Phillip Woollen Mill Buildings can only be demolished after a proper cultural heritage study for both aboriginal and early european history has been conducted (the area of the Oriental Hotel was excluded from this decision). The study will involve about a metre of fill below the concrete floor of the old mills and the fill is at sea level which may present management issues. The original walls must remain until their are approved plans for buildings and then only the section of wall which is required to be removed may be removed. 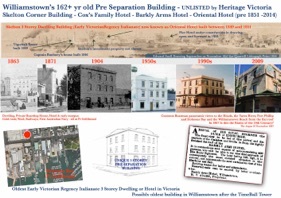 2012 - The Britiannia Hotel alternations and establishing a marketing/sales office was rejected by council and the developer appealed to VCAT in August 2012. A hearing was scheduled for March 2013. Council was objecting to the changes to windows. The community were concerned that council should be requiring strengthening of walls to withstand 6 kPa overpressure and an Emergency Evacuation Plan. Also council should have required a proper robust risk assessment of the peninsula to determine what uses can be made of the land on the site. A reduced requirement by council meant that the single member at VCAT only considered the heritage of the windows and not the use in the Worksafe Advisory Area. Net result is that large numbers of people may be present in an area in the blast zone of the MHF with inadequate supervision if there is a disaster. 2013 - Five applications were received for development of 6 lots out of 14 on the developers site plans (STAGE 1A) and a further demolition including the former Nugget Factory which is of heritage interest. Four applications on three lots have been considered by council’s Special Planning Committee of which two applications just with townhouses on Ann St and Nelson Place near Ann St have been approved by Council but Save Williamstown appealed to VCAT on that decision on safety, noise and many other grounds. 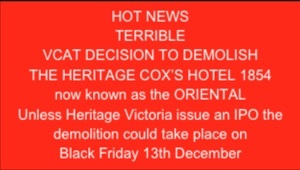 The third and fourth application included the demolition of the Oriental Hotel 1850-51 (earliest remaining 3 storey building in Victoria). Both applications involved density equivalent to 75,000 people per sq km (cf New York City density is 10,429 persons per sq km and Hong Kong 6,480 persons per sq km). Council refused both applications with the developer vowing to take it to VCAT if refused as Ashley Williams does not want to restore the Oriental Hotel. This very statement is an indication of attitude to Williamstown. Along with the statement that Williamstown is an opportunity for a large number of cheap apartments which will let young people into the market. We wondered if Toorak and Brighton as other places which people would love to live in will now be subjected to the same developer pressure. 816 dwellings are proposed in a plan found in the Construction Management Plan before it was removed and altered. That plan is shown on the Status of Plans webpage. 700 dwelling or 1600 people are within 400 m of the Major Hazard Facility and 350 in lots which are in the 300 m Worksafe advisory zone. There is an application to demolish the Nugget factory which was refused by council and was due to go to VCAT later in 2014. Council and community members were seeking a heritage listing for the Nugget Factory. This has subsequently been refused by Heritage Council. A fifth building application for 178 dwellings has been received and referred to as Stage 2. It includes 3 lots and a repeat application to demolish the Nugget Factory even though there already exists an application for demolition which was concurrently with VCAT. The documents supplied included the Emergency Evacuation Plan because there are residences proposed in the Worksafe Advisory Area. When the matter came to VCAT as expected the EEP was not able to deal with residences and still referred to construction workers, employees or contractors of Evolve and when built it will be handed over to residents. The problem is that “Residents are not an entity capable of organising in a disaster” - they do not have the Worksafe requirements of businesses/entities which have Occupational Health and Safety committees and reps. WORKSAFE continues to state this in their submission to VCAT in February 2014 but the decision on Stage 2 which was handed down in July 2014 ignored the Worksafe Advice. Despite the Port Phillip Woollen Mill Advisory Committee hearings noting that any high rise should not face the Major Hazard Facility the design of the 35 m high high rise building touches on the edge of the Worksafe Advisory Area (300 m from the MHF) and has windows and balconies facing onto the Tank Farm and fuel importation and is nonsensical in terms of both safety and noise. We are relieved that the changed PSA means that the highest of the towers foreshadowed by Evolve in the centre of the site will not be approved as a mandatory height limit maximum of 25 m applies over the site. In late April 2009, the community learnt of a proposal to build high-rise apartments at the Former Port Phillip Woolmill site on Nelson Place (Location and photos of the site). The proposal requested a Planning Scheme Amendment with Development Plan Overlay (Amendment 75) to allow building to 46.5 metres (which in the DPO documents includes dotted lines for buildings up to 17 storeys). This would tower over the nearby historic landmark of the Time Ball Tower at Point Gellibrand Coastal Heritage Park, endanger local jobs at the shipyards and will cause a planning precedent which will allow towers at many more locations throughout Williamstown, Newport and and the inner west foreshore.. When members of WNSRA (Williamstown Newport Spotswood Residents’ Association) & POW (Preserve Old Williamstown) & others in the community heard of the proposal and the fact that the developers were not responding to Hobsons Bay City Council’s request for further information but seeking to have the Minister call-in the Planning Application to a Priority Development Panel, they hastily called a public meeting on 23rd May. The meeting showed the extent of community disquiet and went on to form an Action Working Group who then called another Public Meeting on 6th June at Seaworks. 500 people attended this meeting and determined to call the group SAVE WILLIAMSTOWN. Our first RALLY held on Sunday 28th June was a huge success with over 1000 people. The late Joan Kirner former Premier of Victoria and former member for WIlliamstown and a long term resident of Williamstown addressed the Rally. On July 16, the community received good news when Councillors and the Minister met and determined that the application will remain with Council and the developer must provide the required additional information to Council by 31 July (delivered on 7 August). DUE PROCESS WOULD PREVAIL and the community would then be invited to comment when the application was advertised. Links to additional information. In July 2009, our petition of over 3000 signatures opposing the development was presented to Wade Noonan MP on 24th July to be tabled in State Parliament (Photos). Copies of the petition were also presented to Hobsons Bay City Council by Councillor Angela Altair. On 1 December 2009 Councillors voted to not support the proposed amendment application C75 because it was incomplete and failed on a number of important planning issues. They asked the developer to revise his proposal in response to concerns relating to height, proximity to the shipyards, impact on heritage, the port and coast, infrastructure and services in the community. A mixed-use development was suggested with residential in part - this was in line with response Save Williamstown has received from the community. Council and the community agreed. Council rejected the application on 1st December and said that the applicant should resubmit. If the developers resubmitted documents were accepted then the application would have proceeded to advertising when written responses from third parties would be invited. Hobsons Bay City Council has issued THREE Fact Sheets and independent Urban Design Advice concerning the proposed planning scheme amendment. 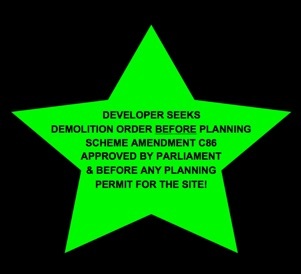 However on 26th March 2010 the Minister Justin Madden decided to ignore the democratic process and rezone the site RESIDENTIAL and appoint an “independent” committee to decide on what can be built on the site. THE APPLICATION WAS NOW IN THE HANDS OF THE MINISTER. A PROTEST MEETING WAS HELD AT THE SITE ON 29TH MARCH 2010. Media Statement by Wade Noonan MP, Member for Williamstown Wednesday, 2 December 2009 .pdf, and Save Williamstown has also issued a press release. A further public meeting was held at which Colleen Hartland Greens member of the Legislative Council explained that she would move in parliament for the MInister’s decision to be disallowed on the grounds that he was acting against the Planning and Environment Act in rezoning part of the defined area of the Williamstown Shipyards when he was not allowed to rezone it until he had a Strategic Plan for the Shipyards accepted by both houses of Parliament and gazetted. 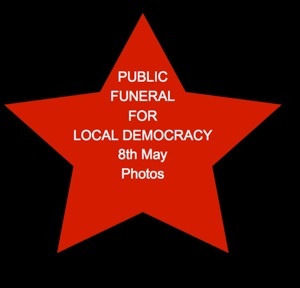 Also at that meeting it was decided to hold another Rally “Public Funeral for Local Democracy”. On 14th April 2010 Colleen Hartland moved the motion in Parliament but both the ALP and Liberals didn’t support it. Save Williamstown members demonstrated on the steps of Parliament House in Spring St.
On 8th May 2010 the “Public Funeral for Local Democracy” was held with 600 attending. 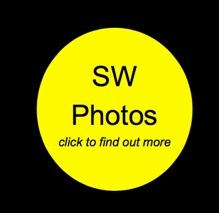 See the webpage Funeral Gallery for photos and report. In July/August 2010 Save Williamstown supported individuals in the community in preparing submissions for the Port Phillip Woollen Mill Advisory Committee. We held a writing workshop and pledged to join together all submissions so that those who were not able to present individually could have their views expressed to the committee. We organised the first PROPER community survey for many years in Williamstown and Newport. A random stratified sample of 400 residents of varying ages who were interviewed in person at their door. The survey was distributed by volunteers in our community and showed the strength of community opinion against high rise, huge increase in population and inappropriate residential development in the safety zone of a major hazard facility. In September 2010, Save Williamstown made presentation at the Ports and Environs Advisory Committee hearing regarding safety issues and fuel importation by ship. The PEAC report was held up by then minister Matthew Guy until after the PPWMAC report was published and Pt Gellibrand recommendations were not adopted by the minister. In October and November 2010 Save Williamstown attended the two directions hearings for the Port Phillip Woollen Mill Advisory Committee in October and November. When the government changed from ALP to LNP, we challenged the new government as to whether the Port Phillip Woollen Mill Advisory Committee would still be sitting. In January 2011 we had 5 days to prepare expert witness reports after the papers of the developer and council were made available. Our expert witnesses were from Williamstown - a fact which was challenged by the legal representatives of the developer and which caused the chairman of the committee to relegate their evidence to that of a submitter. 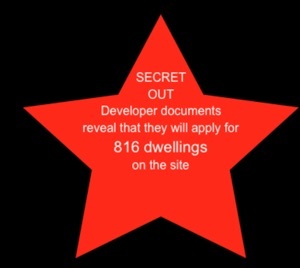 However those witnesses who were paid by the developer for presenting evidence were apparently more independent. 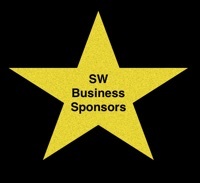 This brings into question the whole financial issue of community groups with limited resources ever being able to present to a panel or committee as someone doing the work pro-bono would in all likelihood have established that they support the group for whom they are supplying pro-bono evidence. The community is very angry that the expertise of a tug boat Captain who was the only person with expertise on the safety of shipping vessels bringing 70% of Victoria’s fuel into Port Gellibrand was thus discounted. 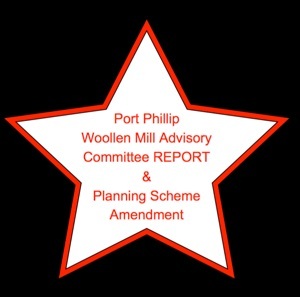 It should be noted that it is only with the reading of the report of the Port Phillip Woollen Mill Advisory Committee that we have become aware of the slight on our expert witnesses. From February through March 2011, Save Williamstown was the only group apart from the committee members to attend every day and every session of the hearings. We questioned every expert witness and made a powerpoint in support of our written submission. We also visited the site with the committee to show the road use at school leaving times. In October 2011, we made a submission Save Williamstown response to VICTORIA PREPARED Green Paper review asking that the needs of the Point Gellibrand Peninsula be considered in making plans for disasters in Victoria as with the current population 3000 people are within 1 km of fuel importation at Pt Gellibrand and if new residential development occurred with another 1000 residents there could be significant problems in evacuating the area. Our NEWS pages provide a sequential history of all that has happened over the past 4 years. 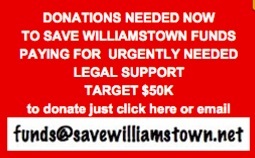 During 2013, there were 3 events associated with fund raising for Save Williamstown Inc to pay the expenses of VCAT hearings and publicity for the group. The cultural and historical significance of Williamstown should not be underestimated, it starts long before the settlement of 1835 with the people of the Kulin Nations inhabiting the Point Gellibrand Peninsula for many centuries. The new arrivals of 1835 came from Tasmania by sea and chose the sheltered natural harbour to land and build their town, King William’s Town, later becoming Williamstown. Many early public buildings and homes still grace the town and the maritime and shipbuilding industries still remain after nearly two centuries.